M F'n Donut is a succulent sweet Donut flavored E-Liquid designed for dripping and enjoying the finer things in life. Delicious flavors that are as good as gold, From candy and fresh fruit to custards. Sit back an taste the royalty! 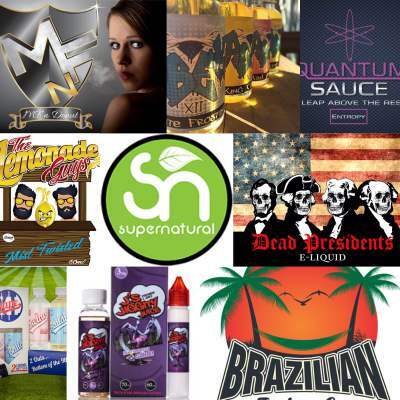 Brazilian juice ultra premium Ejuice crafted by the juice wizards at EjuiceBLVD. Vape XL E-Liquids is a baseball themed duo that knocks it out of the park in regards to flavor and value, presenting one 100ml bottle of each flavor in each box. J's Jiggity Juice- 70%VG mouth watering fluffy Huckleberry Taffy makes you want to do a Jiggity Slide.